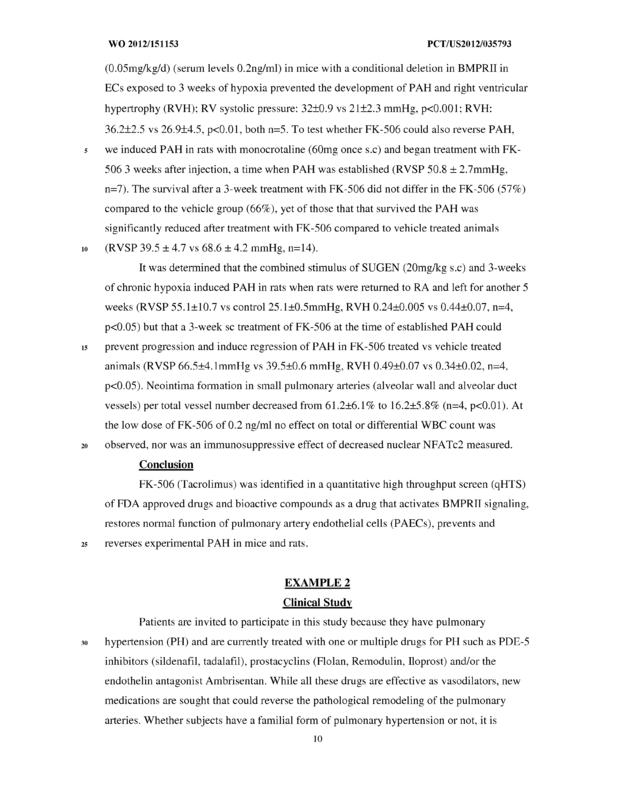 A method of reducing pulmonary arterial hypertension in a mammal that employs FK506 is provided. 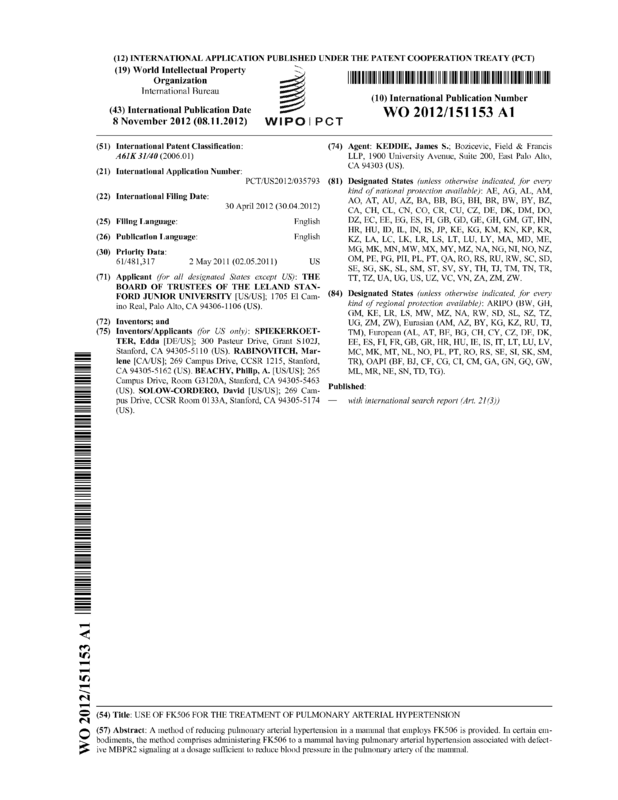 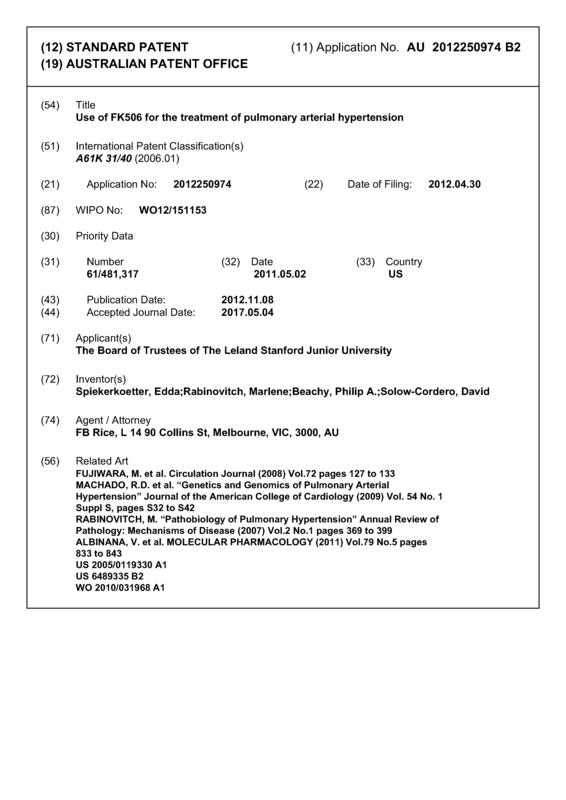 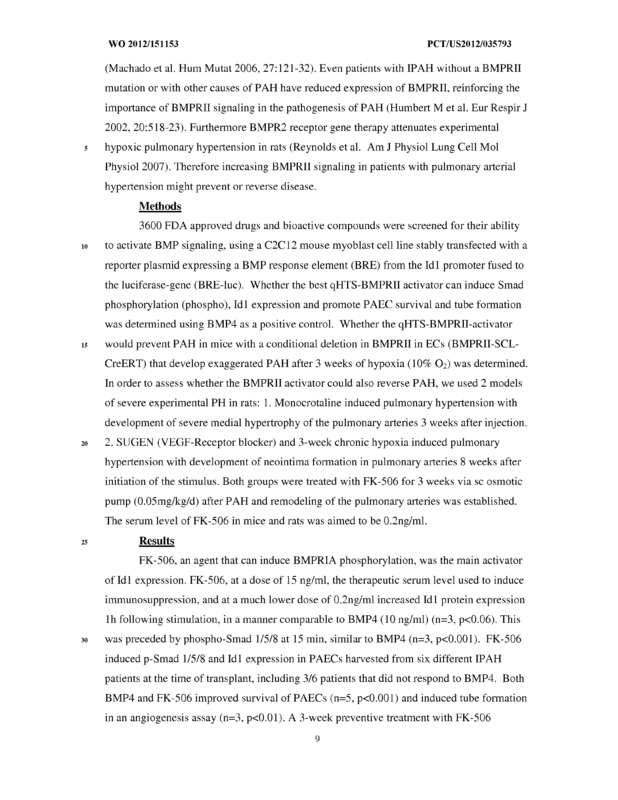 In certain embodiments, the method comprises administering FK506 to a mammal having pulmonary arterial hypertension associated with defective MBPR2 signaling at a dosage sufficient to reduce blood pressure in the pulmonary artery of the mammal. 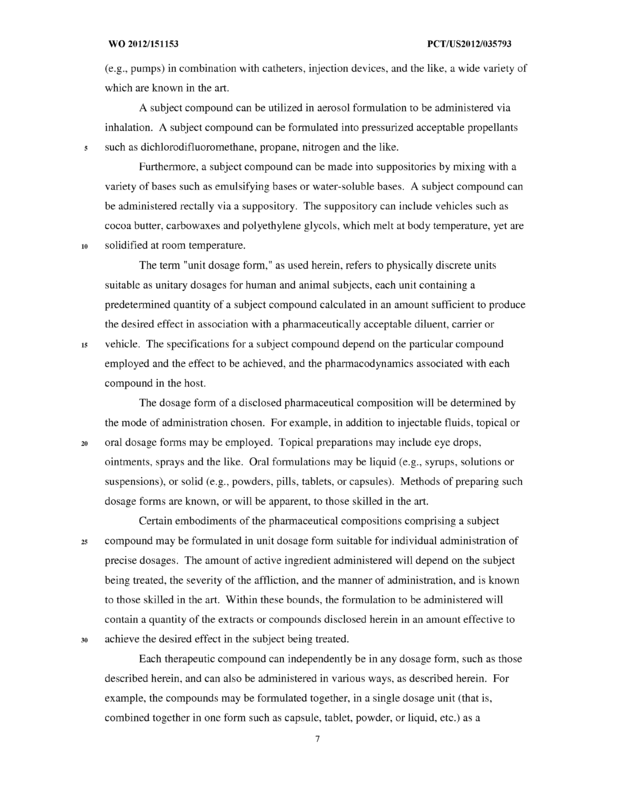 The method of claim 1, wherein said mammal is human. 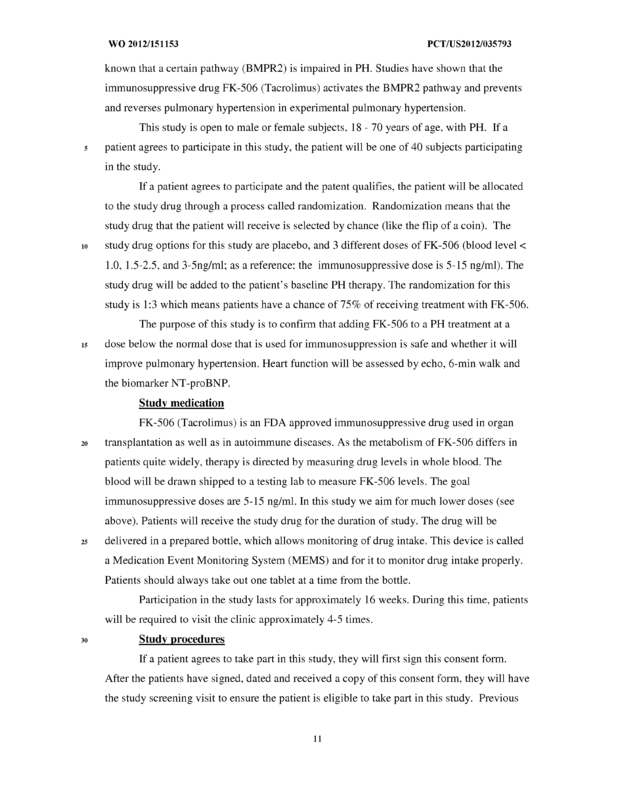 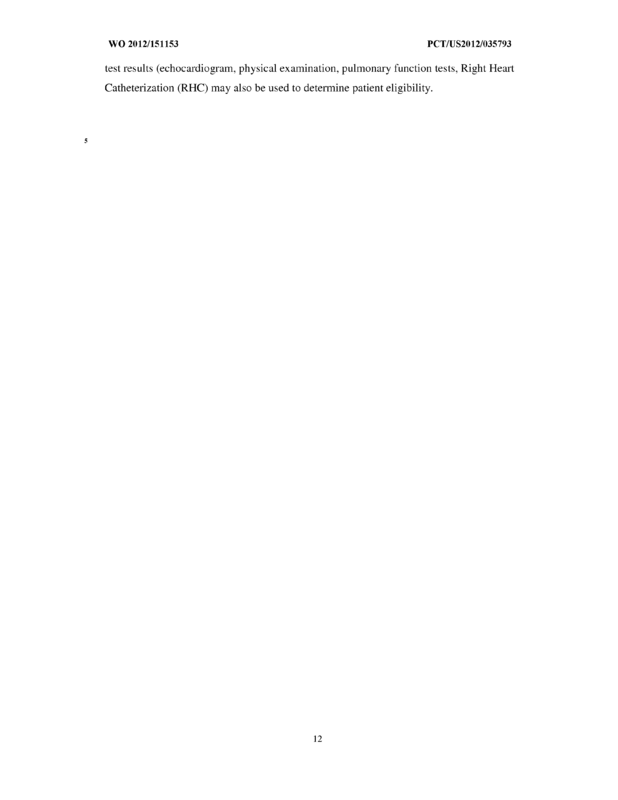 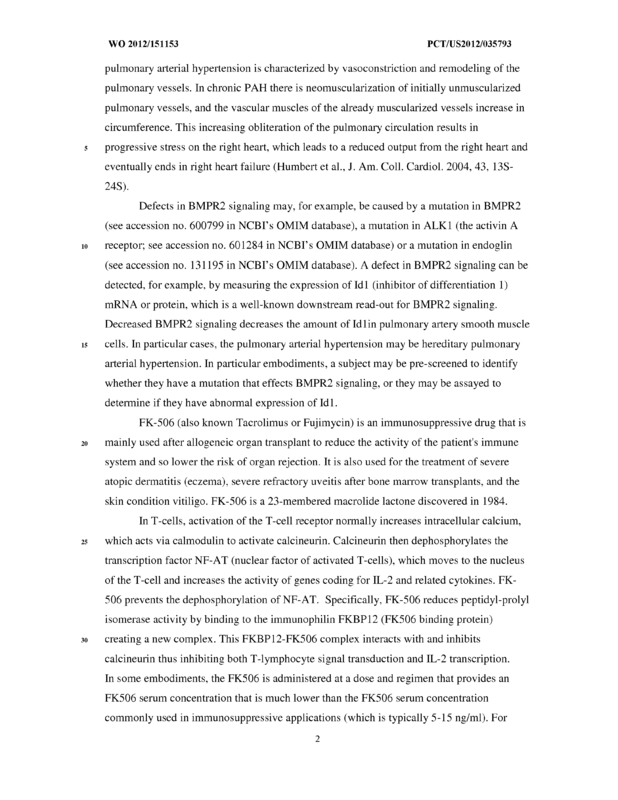 The method of claim 1, wherein said mammal has reduced expression of BMPR2 ALKi or endoglin. 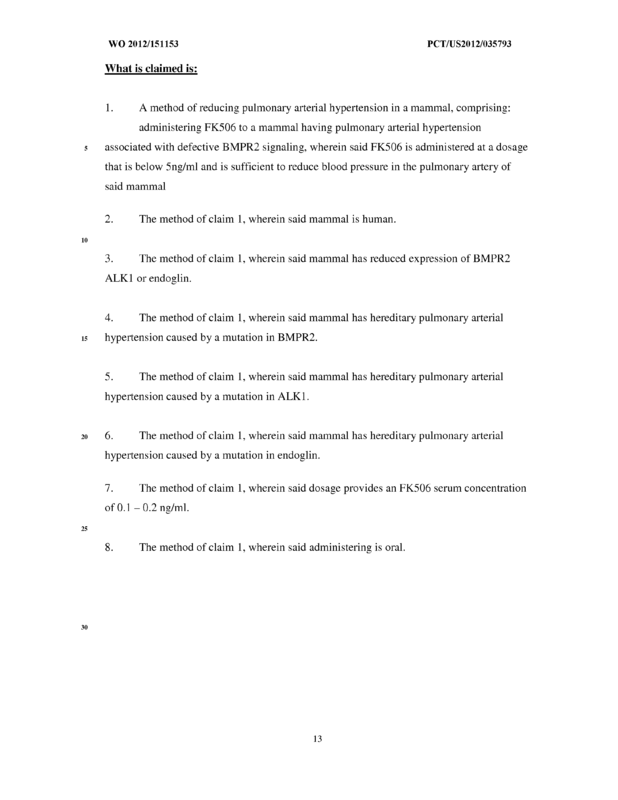 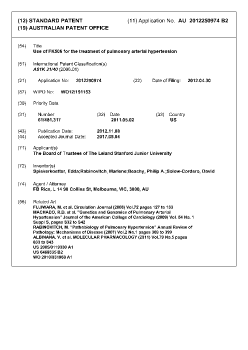 The method of claim 1, wherein said mammal has hereditary pulmonary arterial hypertension caused by a mutation in BMPR2. 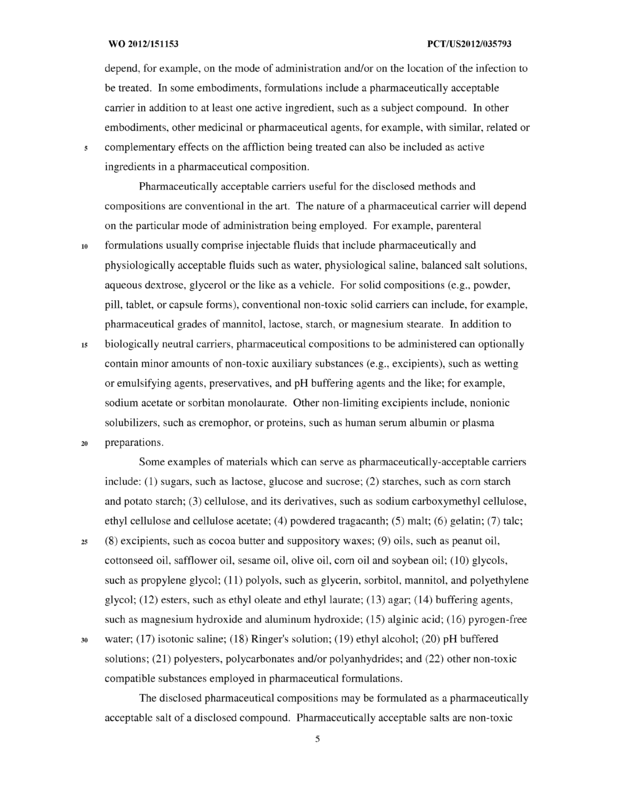 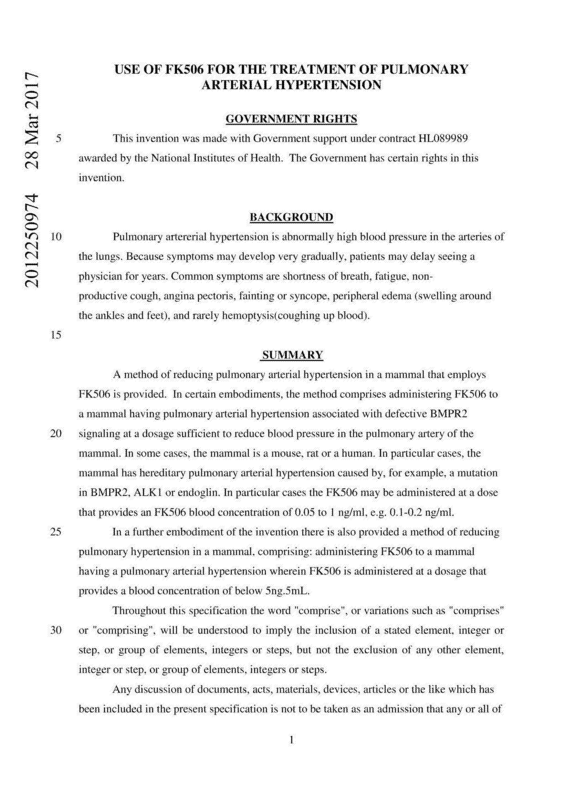 The method of claim 1, wherein said mammal has hereditary pulmonary arterial hypertension caused by a mutation in ALKi. 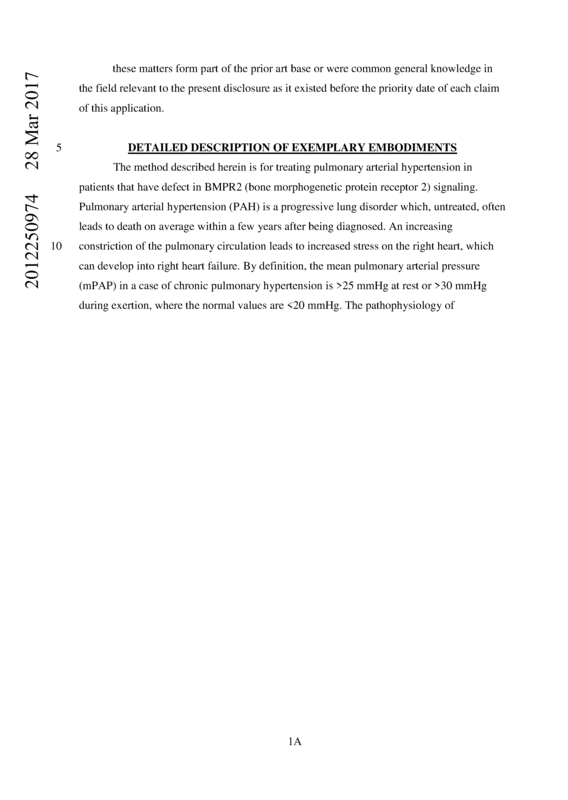 The method of claim 1, wherein said mammal has hereditary pulmonary arterial hypertension caused by a mutation in endoglin. 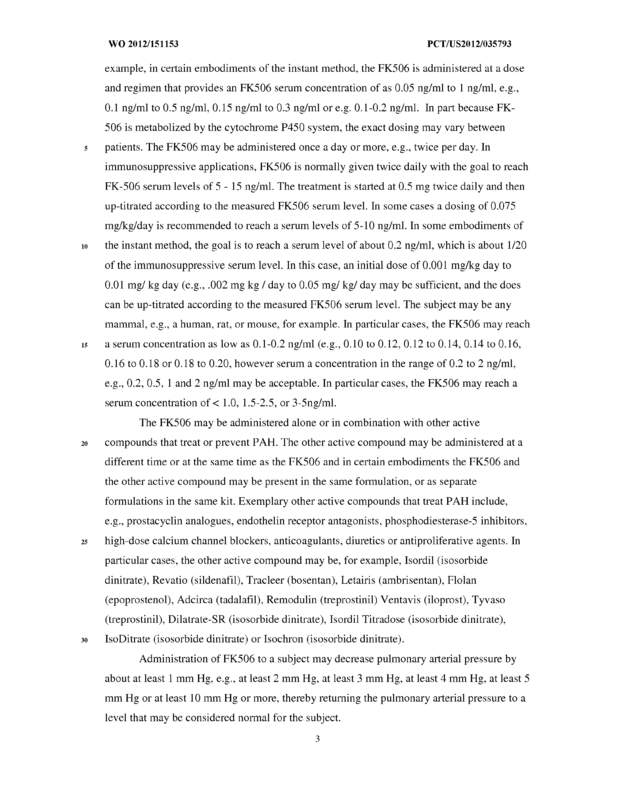 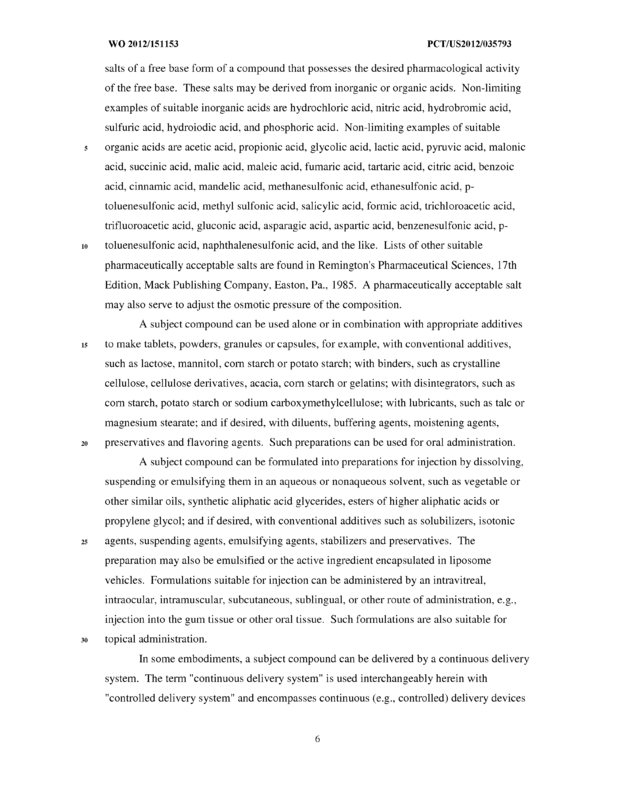 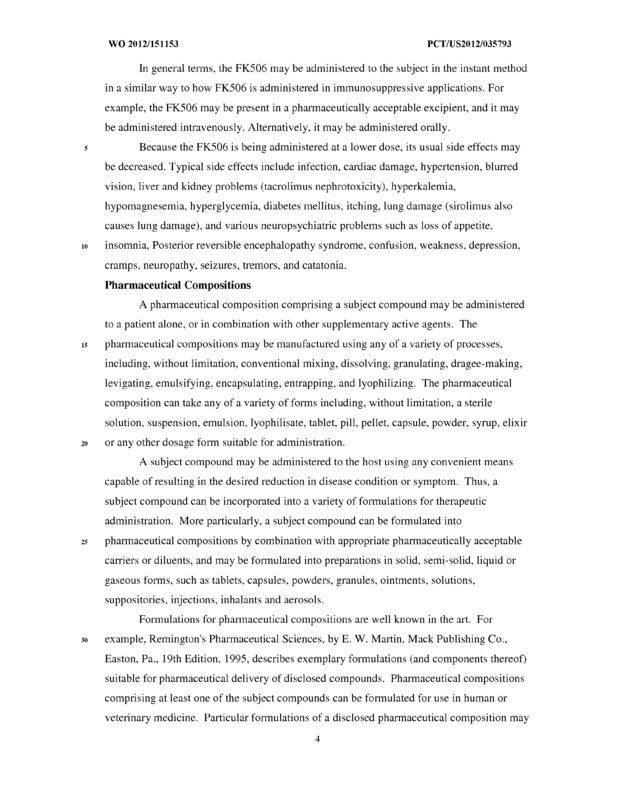 The method of claim 1, wherein said dosage provides an FK506 serum concentration of 0.1 - 0.2 ng/ml. 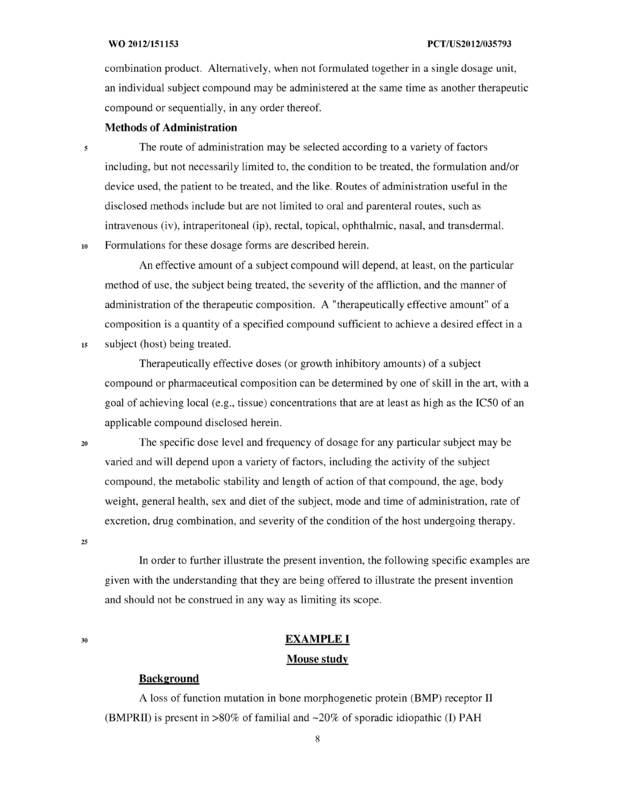 The method of claim 1, wherein said administering is oral.